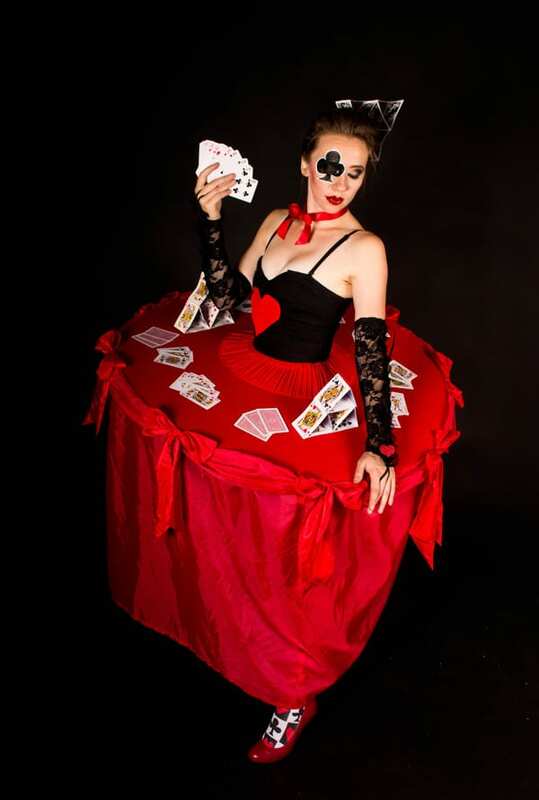 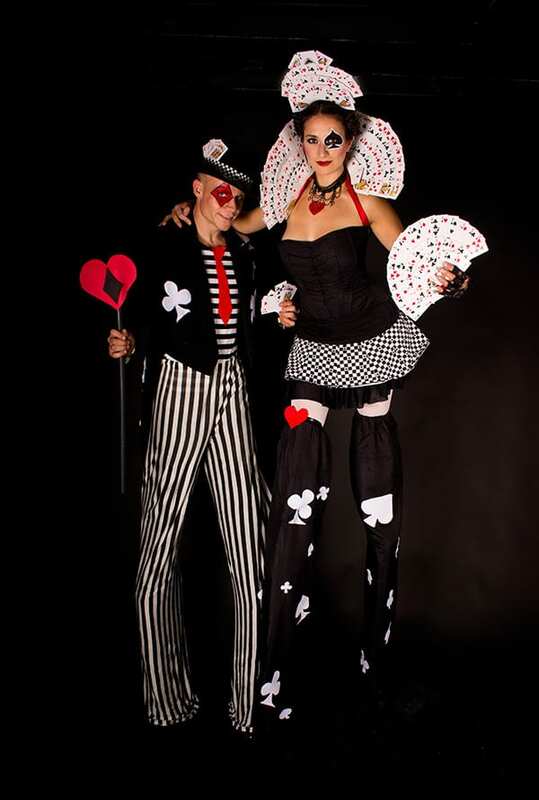 The pack of cards is an exciting and versatile act, towering high or on point, they can add a little magic to an experience with card and circus tricks. 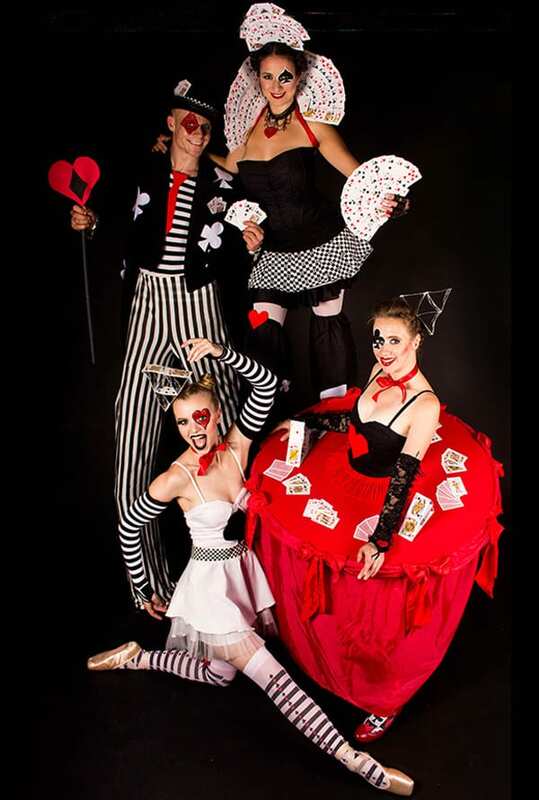 Interactive and comical they have wonderful banter with both audience and opposing suits, surprising keep coming with every shuffle around the space. 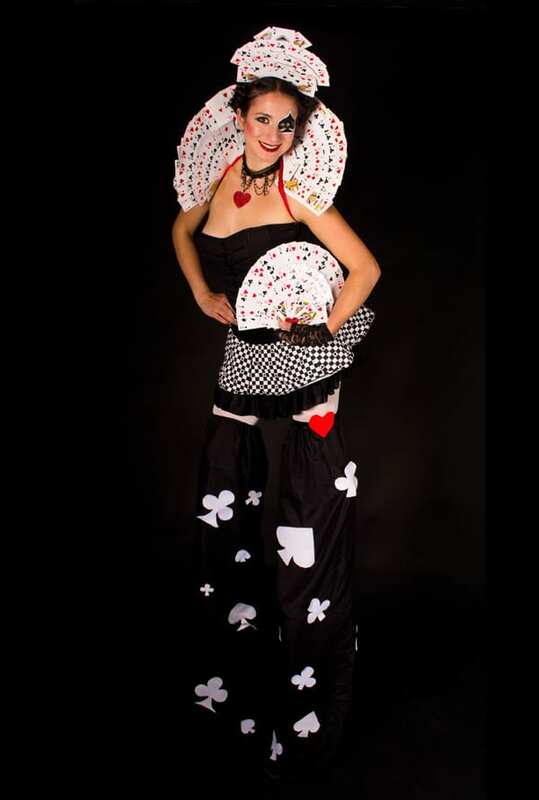 A great accompaniment to Alice’s wonders or a perfect match with our joker jesters who can join the pack for a juggle!